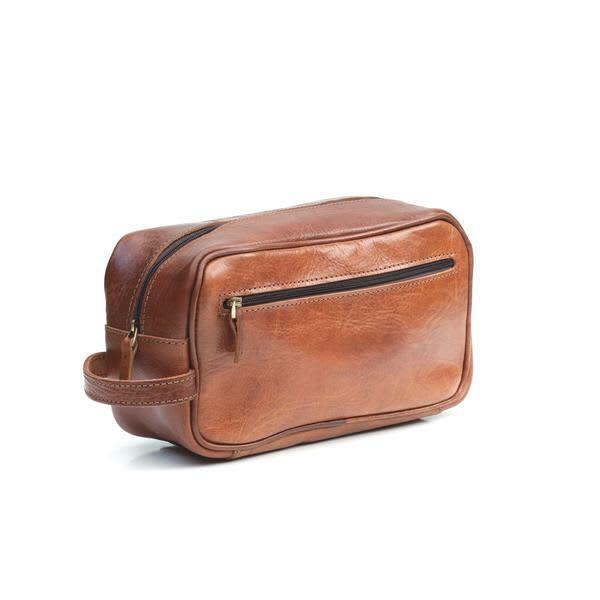 Undeniably masculine, our classic men's leather wash bag is the must-have accessory for every gent whilst traveling. Its large inside pocket is perfect for holding your grooming kit handy and will provide years of faithful service whilst on your travels. Handy loop handle with front zip pocket. ISMAD designs are perfectly imperfect which just adds to their character and handmade design making no two the same making each one unique to you! Our bags also have a distinctive scent; they are naturally dyed and oiled which may transfer onto lighter clothing & vice versa. This will settle with regular use & love. Ismad London in London, United Kingdom.